You asked what the cartels have on Pelosi, could this be it?COULD THIS BE WHY THEY DONT WANT THE WALL BECAUSE OF WHAT THE DRUG MONEY BRINGS IN? In the El Chapo trial, it emerged that former Mexican President Pena took $100 million bribe from the Cartel. 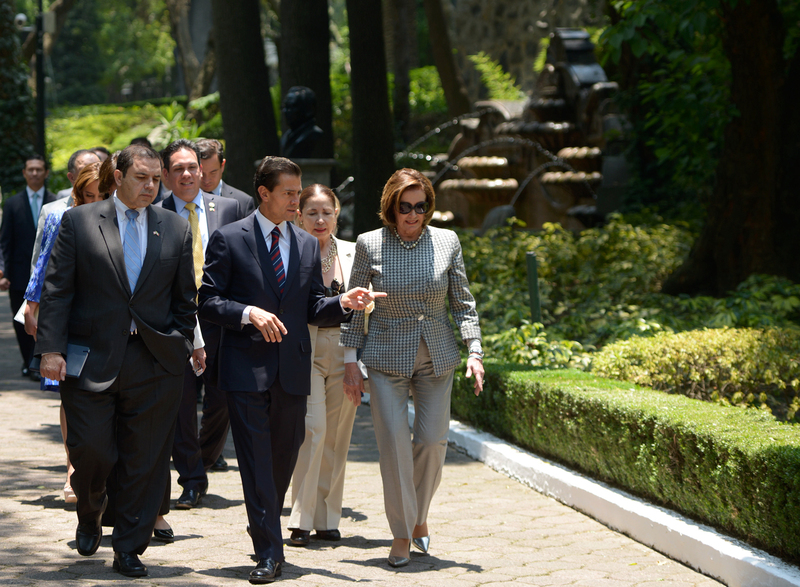 Well, here he is with Nancy Pelosi, Rep Beto O'Rourke and Rep. Henry Cuellar on May 3rd of 2016 in Mexico City, Mexico. Why would open borders Beto be there?